Oracle just announced the Database Appliance – something perhaps best described as a Exadata’s dumb little brother – a pre-integrated, optimized piece of hardware for running Oracle Database. The Database Appliance is available in a pay-as-you-grow model that starts at only two cores and can extend to a two node RAC with 12 cores in each node. Price indication: 50K for 2 cores – hardware only (as it turns out). Software licenses are separate, presumably at normal prices. And: existing Oracle databases licenses – when they are current- can be applied to the Oracle Database Appliance (swapped). Note: pay as you grow means that you can add cores and/or core licenses over time. It does not mean that the database appliance can grow into a real Exadata machine! 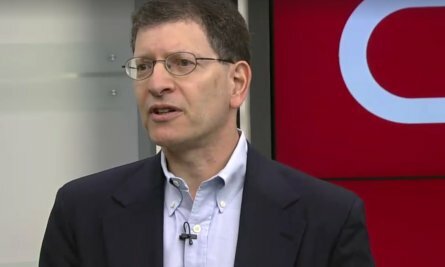 The announcement was made by Andy Mendelsohn (database), Mark Hurd and Judson Althoff (Worldwide Alliances and Channels and Embedded Sales where embedded translates roughly to…Â Â appliances). The database appliance does not leverage the same smart software used in Exadata V2; it runs a regular version of Oracle Database 11gR2 Enterprise Edition. Do not expect the smart query filters on the separate disks or the special treatment of flash disks. Neither does the appliance have the Infiniband wiring for optimized I/O. The machine is pre-engineered, all components (hardware and software) are integrated and mutually optimized and there is a single number to call for assistance: Oracle is responsible for every last bit of the appliance – hardware and software – and there is a major advantage whenever something breaks or fails. Start with two cores, pay as you grow (up to 12 in one box or 24 on a two node cluster). Note: growing applies to the number of cores and the core licenses. The appliance is targeted at the mid-market community -with largely the same challenges and requirements as the big enterprises interested in Exadata – but at a slightly (or substantially) smaller scale and budget. 20 disk drives, up to 4Tb of data. The Oracle Database Appliance contains 12TB of raw SAS storage, offering resilient 4TB of triple-mirrored, usable database storage. There are also four 73GB solid state disks for high performance processing of redo logs. Suitable for both OLTP and DWH.Â Contains Oracle Linux, RAC , clusterware. But does not use Oracle VM or any other VM. Oracle Appliance manager – calls home when failure: OracleÂ Field Engineer can be on site before customers knows something is (to go) wrong. Remote telemetry – see what you use and allow to license less hardware than actually is available; when more is used, Oracle will know. Until more is know, you do not need to license more (cores). Note: the appliance can contain and use more cores than you need to pay Oracle licenses for. Oracle will know how many cores are used for running the Oracle Database – and which cores are used for other work. Until now, Oracle VM was needed to achieve such ‘partitioning of licenses on a multi-core machine’. Positioned against HP as an example – multiple vendor, full hardware licensing etc. All ISVs can run on DB Appliance – just normal Oracle 11gR2 EE. 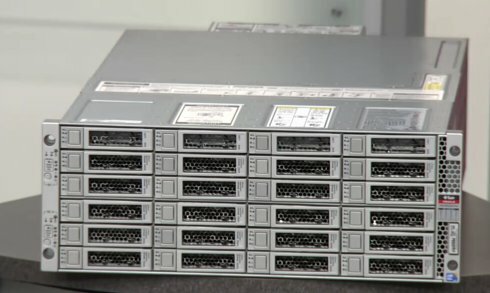 See for the datasheet and other details: http://www.oracle.com/technetwork/server-storage/database-appliance/index.html. Note: based on comments by Marco, Dan and Debra Lilley, I have made a number of corrections to the original posting that I created during the live webcast and which contained a number of not-quite-trues and bold mistakes. Not correct – this product has nothing to do with Exadata and there’s no Exadata components or software in this device. It is not a smaller Exadata, but rather a compact, easily-deployable RAC environment with many great features, but not Exadata.